Some call it the best collection of real Mainers in the state. The annual Maine Fisherman’s Forum is held at an oceanfront resort for ground fishermen, lobstermen (and women), elver and alewife harvesters, their families, trap builders, Diesel engine salesmen, story tellers, government officials and scientists. Despite all that, I was still on the fence as to whether it was how I wanted to spend my Saturday. But with the dog walked and tea made, I pointed my VW to Rockland, and am glad I did. As a community engagement advocate, I thrive in a crowd, and this was a good one. I saw friendly faces from my Aquaculture in Shared Waters course (the class we hope will never end – so good!) working at the Trade show, former colleagues in river restoration at the Alewife Harvesters of Maine annual meeting, advisors to my upcoming kayak tours to illuminate residents on oyster growing in the New Meadows River, and happened upon a tureen of delicious Sicilian seafood chowder. I learned of a new articulating scallop drag that purportedly doesn’t chew up the bottom, and earned a wooden spork by filling out a survey for the Maine Coastal Program. The Gulf of Maine is still a valuable fishery, although species and techniques are changing. 2018 Lobster landings were high, and alewife harvest was significant. Seems funny that Maine Dept of Marine Resources has a dual mission to conserve and commercialize the riches of the sea, but that duality brings together a great array of Grunden’s customers at the conference. Glad I went. I didn’t realize that I was in love until my heart was broken. Broken by a fish ladder, that was itself broken. Broken when I saw masses of steel grey fish, fins cutting the surface, thrashing up the pools, through the weirs, and getting trapped by the eroding concrete structure that was designed to help them over this dam. How do you know when you are in love? Do you feel your heart surging? Do you forget to measure time or acknowledge hunger? Do you have tunnel vision and eyes for only one thing. Is it a fish? World Fish Migration Day is a day of love for fish, and a day to love rivers that can flow without interruption from their headwaters to the sea. It’s a day to envision riverine ecology functioning at full strength with swift currents, suspended nutrients, rocky bottoms, sandy banks, leafy cover, woody debris, and all other aspects of an intact natural system. Love should flow unhindered by dams of prejudice. Love can overpower barriers. Are you ready to show your love? Sign up to host an event for World Fish Migration Day. It’s not until May 16, 2020, so you have time to finesse your courtship strategy. Time to make a plan. Time to have some fun and invite some friends to do something fishy! I recently went to Washington DC for the promotional launch of WFMD 2020. We gathered at the Embassy of the Kingdom of the Netherlands in the leafy section of town above the Potomac River. I finally got to meet WFMD founder, Herman Wannigan, was welcomed by Ambassador Henne Schuwer, and heard an inspiring story about the great work on Town Brook in Plymouth, MA. 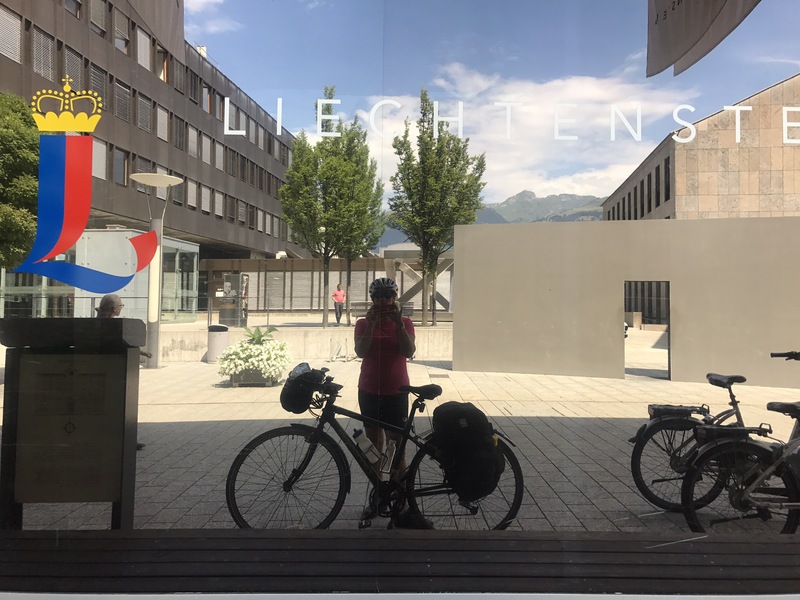 I got to give a quick overview of my Rhine River bike trip, and was invited to consider doing another in the US. To which river would you show love? What type of fish live in it? Where is our next adventure? Through my interest in migratory fish, I’ve developed faith in nature’s ability to recover. I’ve witnessed instinct, and experienced empathy. I’m drawn to salmon and shad, alewives and eel by an attraction I can not explain – I just feel it. Perhaps it is not the actual species, but their lifecycle, and the power of their instinct. 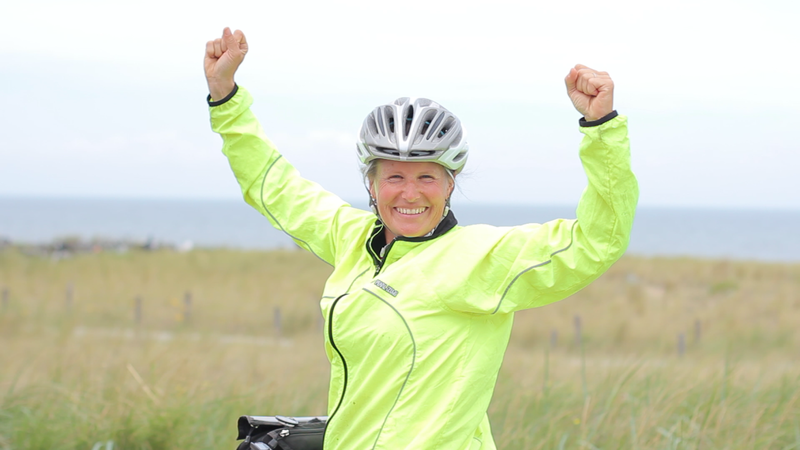 As I pedal toward midlife, refining the purpose of my existence, I’m envious of a salmon’s confident knowing of where to go, and what to do. It gives me hope. Their need for distinct habitat at different stages of their life necessitates migration. The fish make pilgrimage; using smell they navigate from the nutrient rich waters of the sea, up rivers and tributary streams to the cold, sweet water where they were born. They dedicate their life to making new life. A circle. A cycle. A life complete. My heart aches when I see the impediments that humans have put in their way in the form of dams, culverts, hydropower turbines and weirs. As others fight for women’s rights, fair immigration policy and equality for all races, I am building a case against ecological bigotry. Barriers in our aquatic systems keep out native migratory species, just as walls at our borders keep out human migrants. To whose benefit? Every species has ecological needs. It takes work to achieve our needs – effort driven by instinct to survive and prosper – but foremost access. Give us a chance to prove ourselves. Open the door. As biologist Anne Hayden said of the restoration of River Herring in Maine’s Penobscot River, “unbuild it and they will come.” The Fish (collectively shad, alewife and blueback herring) numbered only 2,300 in 2009. After two major dams were removed and sophisticated passage constructed around a third, the 2017 estimates were 1.9 million. These Fish returned to the river to reproduce, and in so doing they brought nutrients to our streams, exported phosphorus from our lakes, affirmed our faith in nature’s ability to recover, and even boosted our economy through harvests and ecotourism. So how do I practice my faith in ecological recovery? 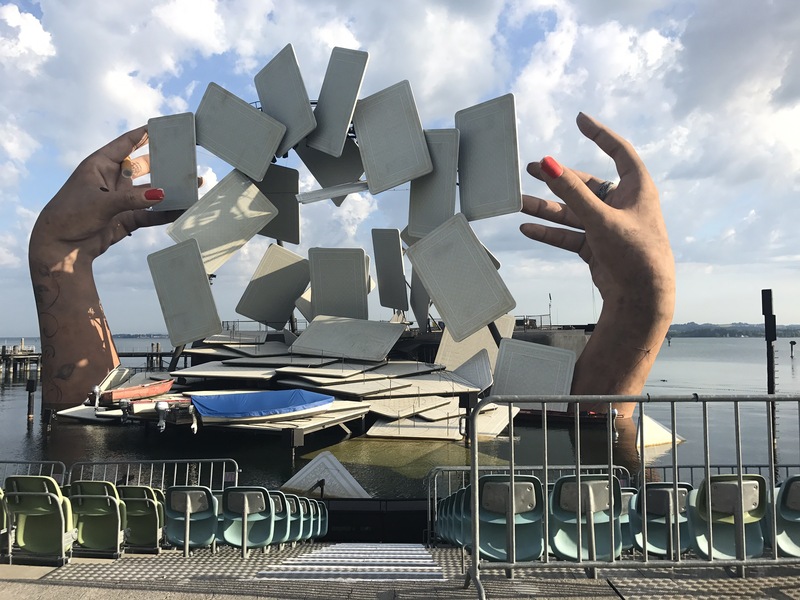 By making my own type of pilgrimage, following my instincts, and building human connections. That is why I traveled to the Netherlands for World Fish Migration Day. 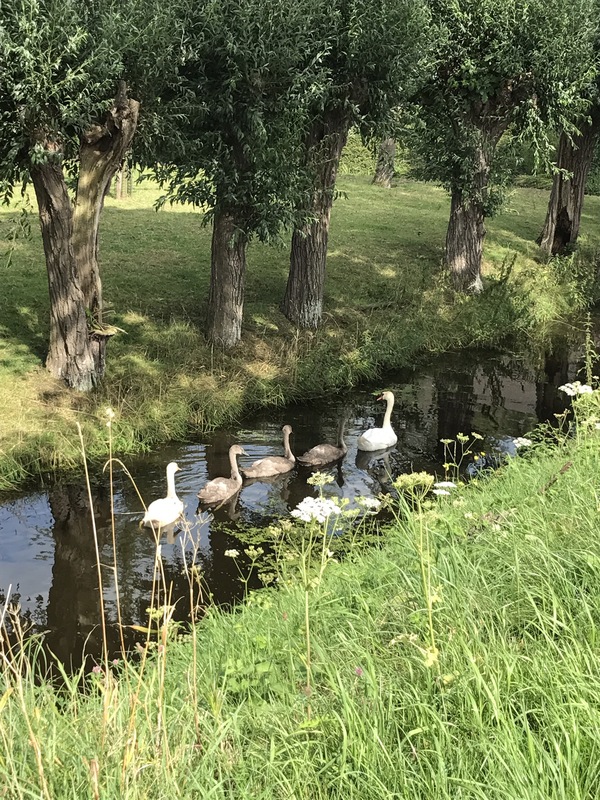 This biannual event is celebrated the world over, even in my home town, yet I wanted to be at the source of its inspiration – the university city of Groningen, headquarters of the World Fish Migration Foundation. Why? Well, I wasn’t really sure, it just felt that is where I needed to be. So I navigated barriers such as flight delays, bridge closings, hospital visits and flat tires, but I made it. And on April 21 I celebrated amongst a dozen new friends while paddling the canals of the city, waving flags and sporting banners. The day is designed to raise awareness. But by witnessing the migratory trials of fish, you build empathy, and with that faith, that nature’s ways are good ways. That the instinct of a salmon to swim upstream, despite the challenges, is worthwhile. And so I continue on. You know, almost anything can be connected to ecology, and we should make an effort to do so. We may start with an interest in a particular organism, an alewife, for example; but let’s put that fish in a bigger ecological context. An alewife is a migratory fish, often lumped together with shad and blueback herring, to be called River Herring – thats its ecological population. Now let’s place that population of river herring within a biological community, such as a stream in MidCoast Maine. In May and June, thousands of sexually mature river herring migrate from the ocean, up rivers, into tributary streams and finally to lakes and ponds where conditions are right to spawn. During the course of their migration, the fish feed the communities they pass through. Their rich oily flesh is a welcome energy source for osprey, gulls and eagles, who congregate in trees along the stream to dive and feed; otter, mink, fox, raccoon, skunk, weasel, fisher, and turtles feast as the fish swim by; and once upstream, trout, landlocked salmon, large and smallmouth bass, pickerel, pike, and perch are eager for a meal. The river herring are as appealing and convenient as a home delivered pizza. Dinner to your door after a long hard winter. And now we can expand to an ecosystem perspective – all the organisms, as well as abiotic factors that influence a biological community, such as nutrients, rainfall, temperature and the quality of the water. And this is why I went to the Maine State Capitol the other day for a clean water rally. Fish need clean water just as much as we do; so I unfurled my World Fish Migration Day banner and smiled at the TV cameras. 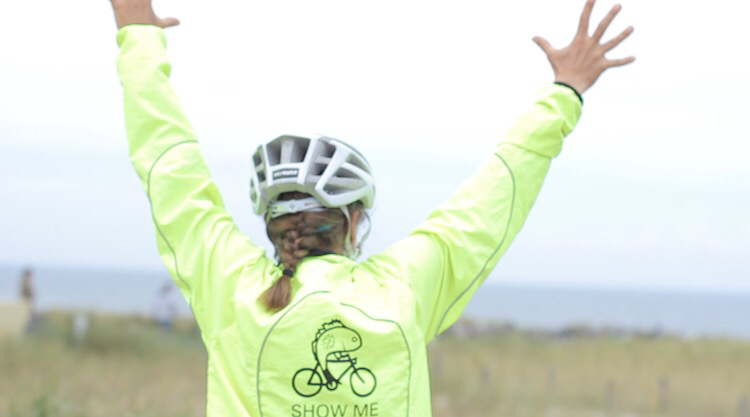 Tomorrow I embark on another adventure to promote clean water and aquatic connectivity. 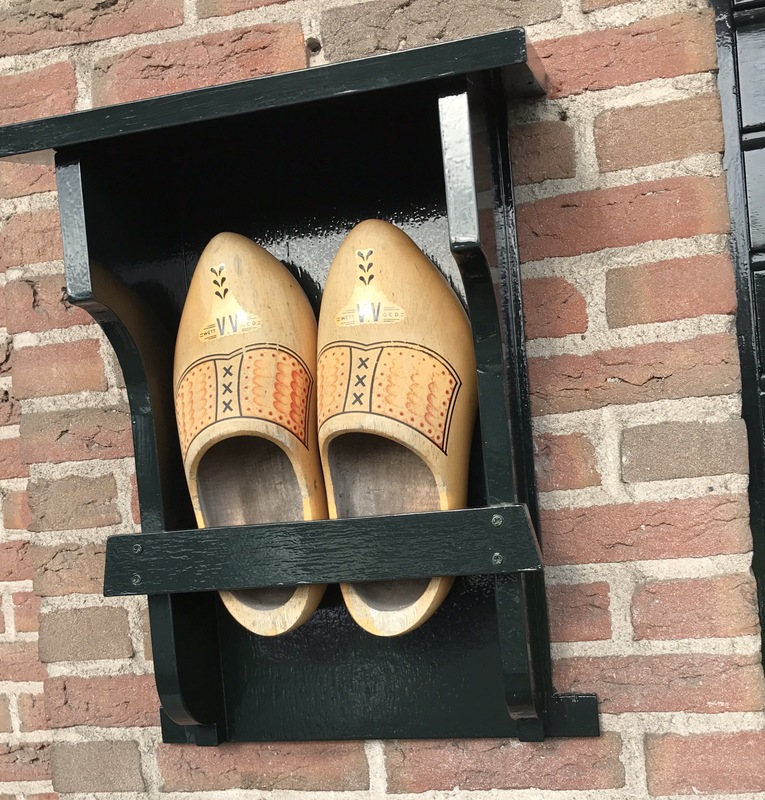 I’m returning to the Netherlands for a two week trip on a traditional Dutch canal boat called de Fuke (“eel catcher” in Fresian). Can you guess where my WFMD banners will be hanging? 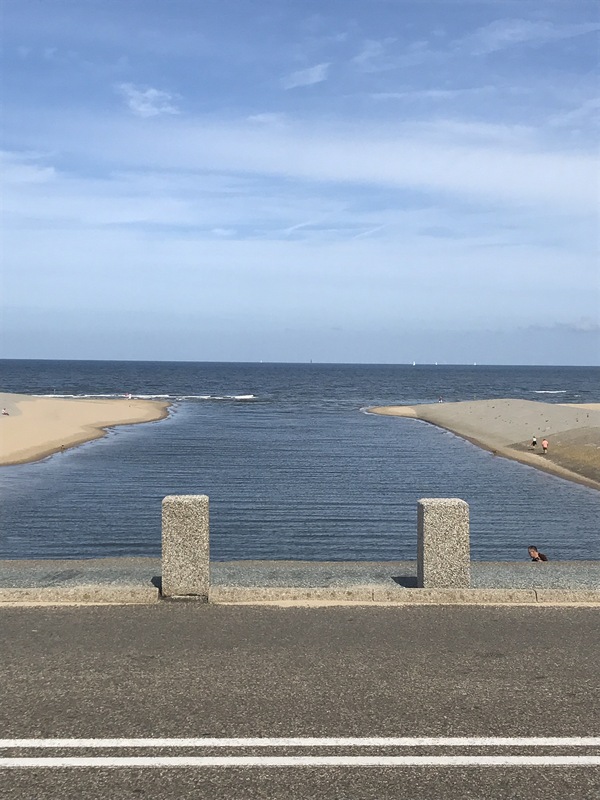 ﻿In Katwijk, just a few meters from the pump station, the Oude Rijn spills into the sea. And at this sight I felt a combination of exultation and loss. 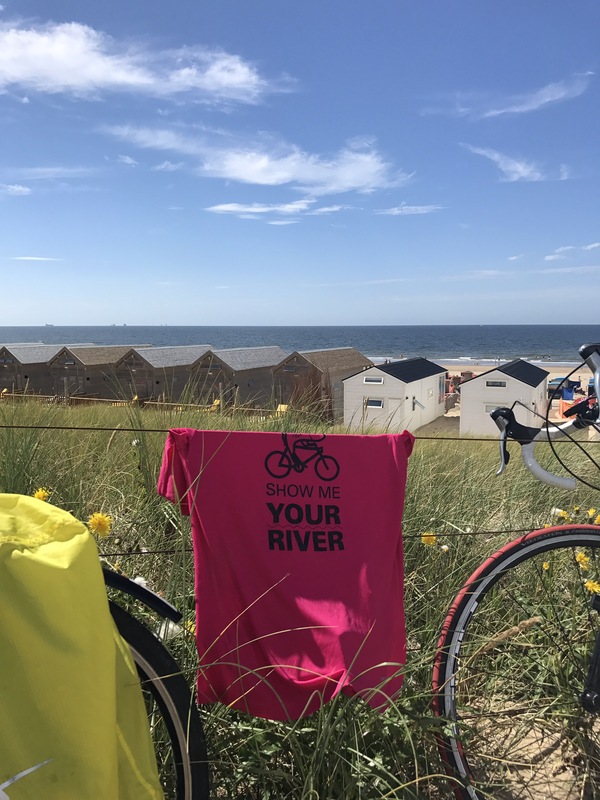 We did it; the river, the bike and I! 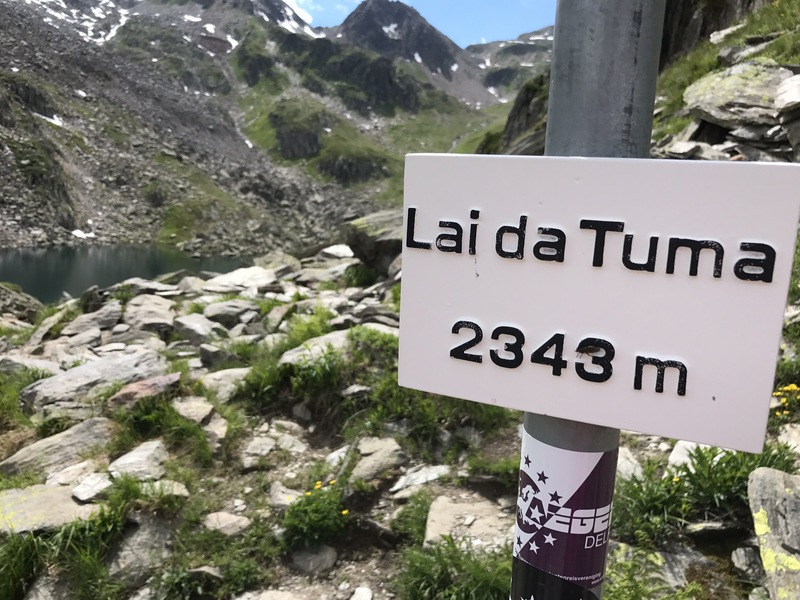 We travelled 1322km (river) 1567km (me) through six countries, speaking five languages, navigating three signage systems, spending two currencies and making lots of friends. 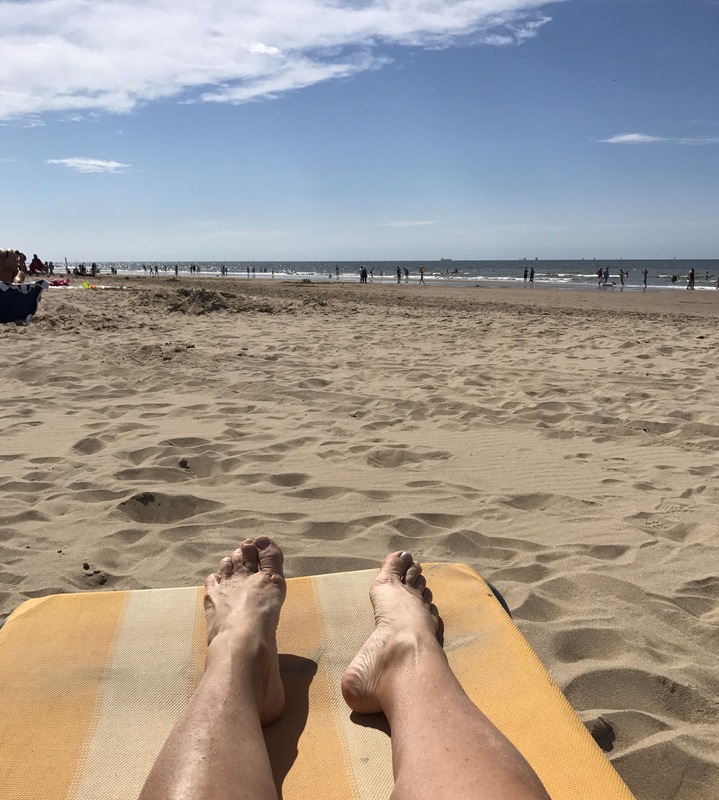 And new aquaintenances, and many generous hosts through CouchSurfing and WarmShowers; international hospitality platforms based on the belief that people are kind, interesting and trustworthy. I’d be greeted with smiles, handed a key, pointed to my bed & the shower, and asked what I’d like to have for dinner; again, and again and again. These types of interactions completely nullify cultural stereotypes, and create lasting friendships. And what could I offer in return? Well, I tried to arrive with a bottle of wine; I confirmed their disbelief in our current political situation; I offered to weed their garden; I was full of questions about local customs, history and geography, but mostly I wanted them to “Show me your river”, and listen to the ways they connected with it. 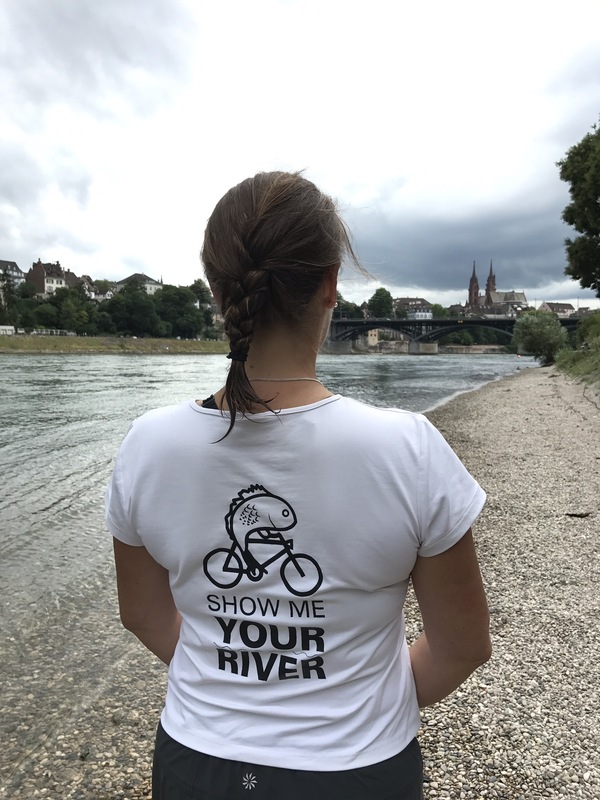 But before I undertake any more cycletours, I’m going to help the World Fish Migration Foundation & The Nature Conservancy recruit nature centers, conservation groups, citizens and communities to host events on April 21, 2018 & raise awareness of the need for free flowing, fish friendly rivers so that migratory aquatic species can follow their instincts and complete their lifecycle – just as we desire to do. Bound between a rising sea and a river’s discharge, the Dutch are vigilant, perhaps even a little distrustful. 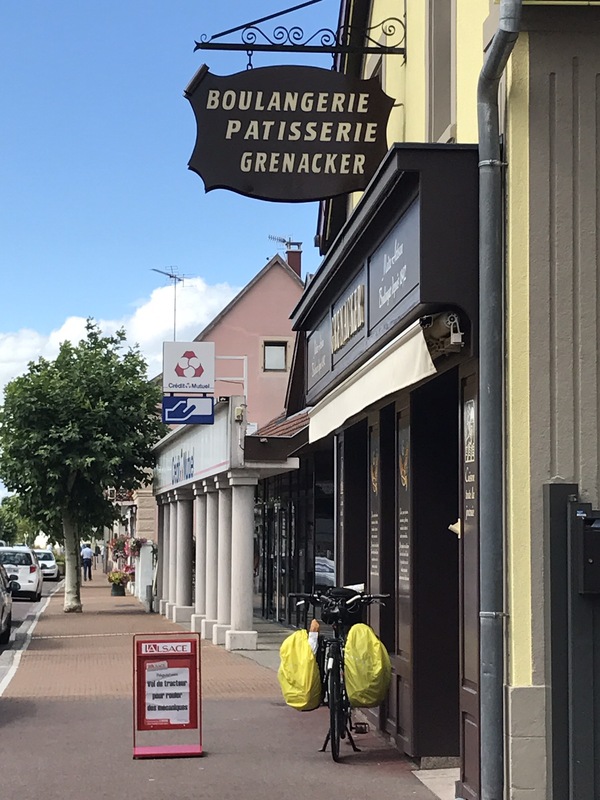 In a month of cycling, this is the first place I’ve been advised to lock my bike, but there are still painful memories of the night of January 31, 1953 when strong winds met high spring tides and water levels in Zeeland, this western region of Holland, rose 18′ (5.6m) above mean. 1,835 people were killed here, and more at sea. 30,000 cows, sheep and goats drowned. 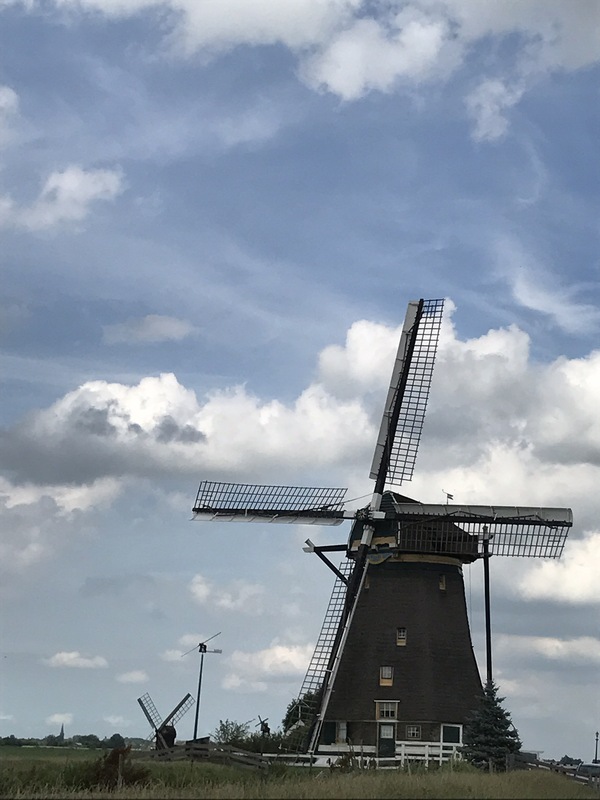 The Dutch are wary of trouble, even as the cows graze placidly on the polder and windmills turn slowly overhead. 20% of this country is below sea level and 50% is less that 1m above it, so a little extra water does lots of harm. Disaster often leads to development of policies and programs designed to prevent repeat devastation, so it’s no coincidence that shortly after the storm the Delta Program was formed and designed the Delta Works, an extensive system of dikes, dams and sand dune storm surge barriers (the public parking garage at the beach in Kanwijk is built into one of these dunes). 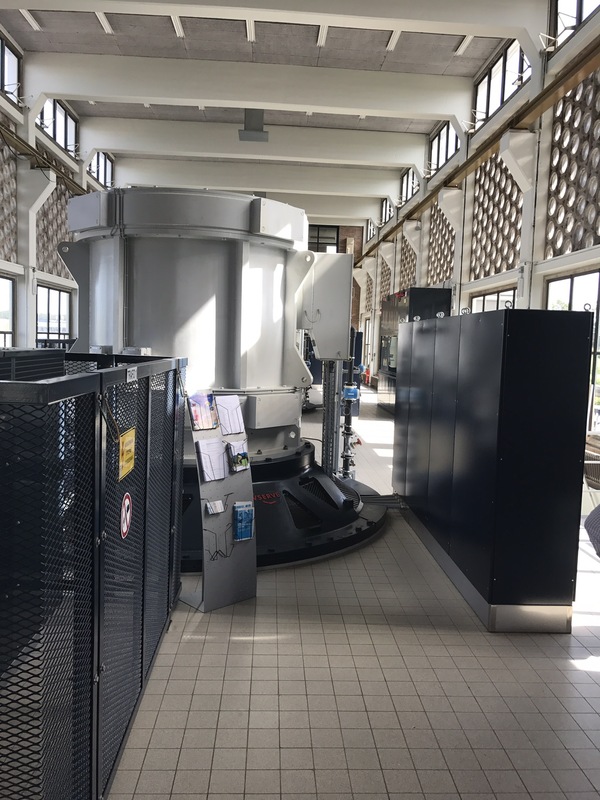 In Katwijk, just a few meters from where the Oude Rijn meets the sea, is Koning William Alexander Gemaal, a pump station run by the Water Board of this region. One day a year pump stations across the country are open to the public to show the role they play in public health and national security, and to justify the watership taxes citizens pay, “your contribution to dry feet and clean water” says the website. But as this was not the public day, I was grateful for a tour by Simon, the manager of this impressive facility. The station is essentially insurance against disaster. 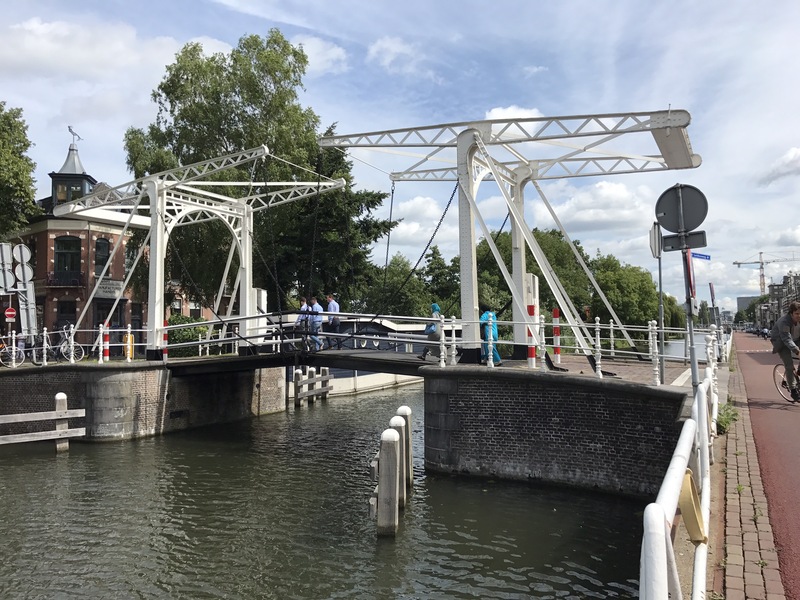 It is a series of pumps, run remotely by computer from the office 15km away in Leiden, and backups of backup energy systems so that if another 1953 perfect storm occurs, this station will push water from the land to keep feet dry. Keeping the sea out, does also mean that migratory fish are prevented from entering the Rhine system. 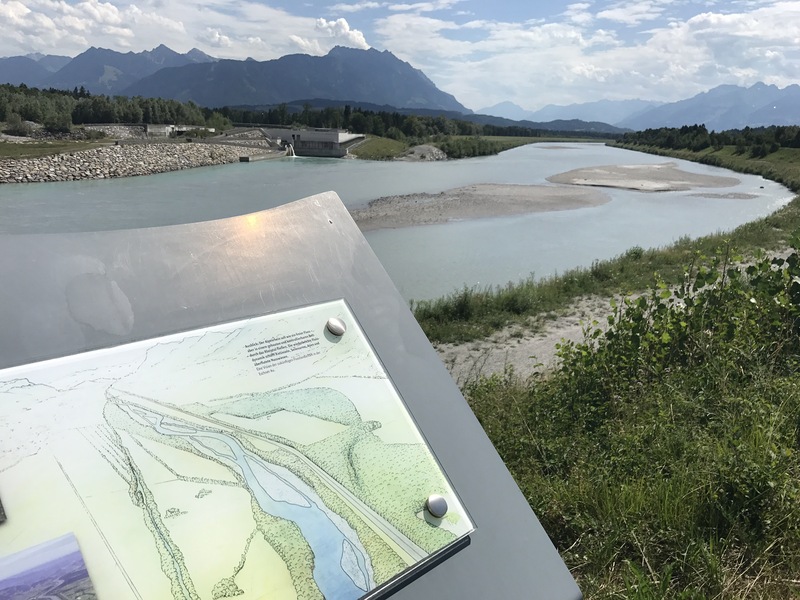 Tests have been made at this facility to show that the pump’s turbines don’t harm outmigrating eels, but the sluice gaps are too small for salmon and other mature fish to migrate in. In fact, along Holland’s entire coastline, only the man made, massively busy, Rotterdam canal provides unimpeded access to the Rhine’s extensive spawning habitat. But ICPR is making progress to improve this. Simon did mention the irony of dumping sweet water into the sea, when other European nations, like Spain, were desperate for fresh water. But so it is in the Low Countries – can’t be too careful when you live below the sea. 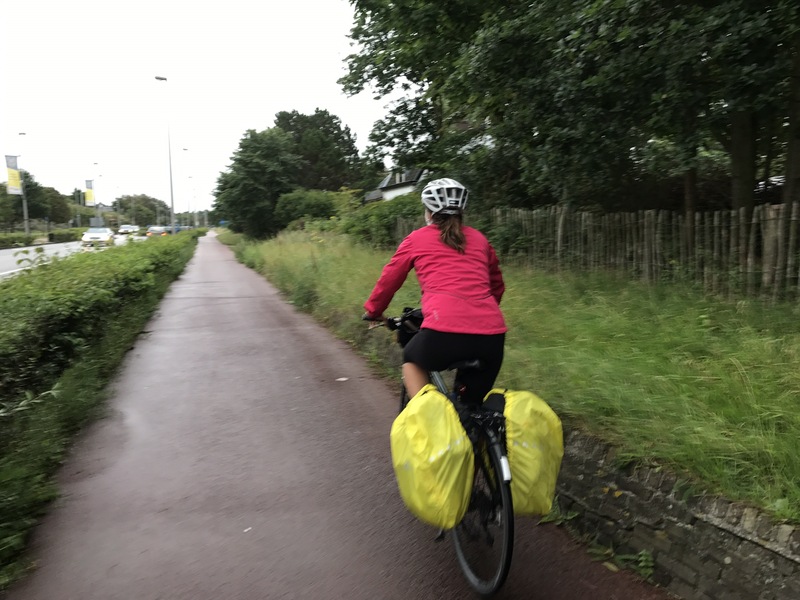 A month on a bicycle along a river; its over now and was so much fun! Although I set out on my own, I was never alone. 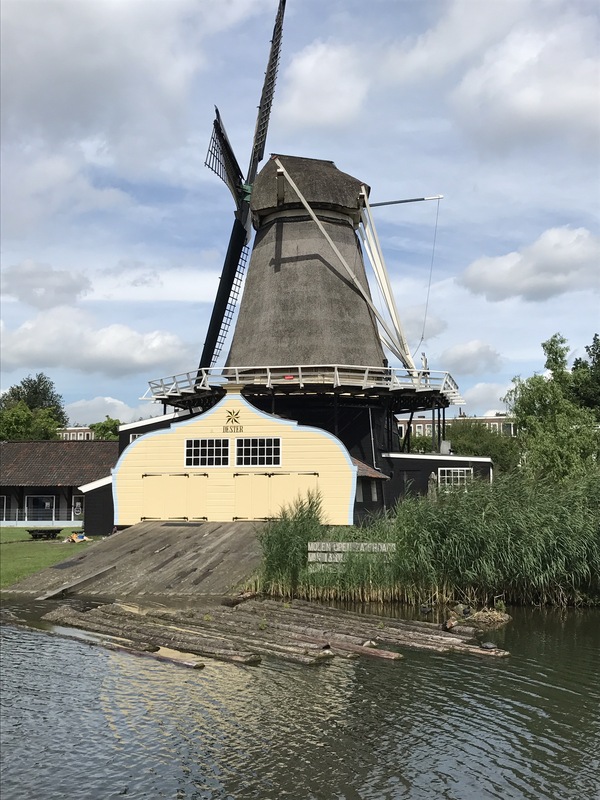 I give my thanks to Herman Wanningen of World Fish Migration Foundation for planting the seed for this trip in 2015 when he introduced me to restoration practitioners in Holland during bonus days on my sustainability cycle tour. 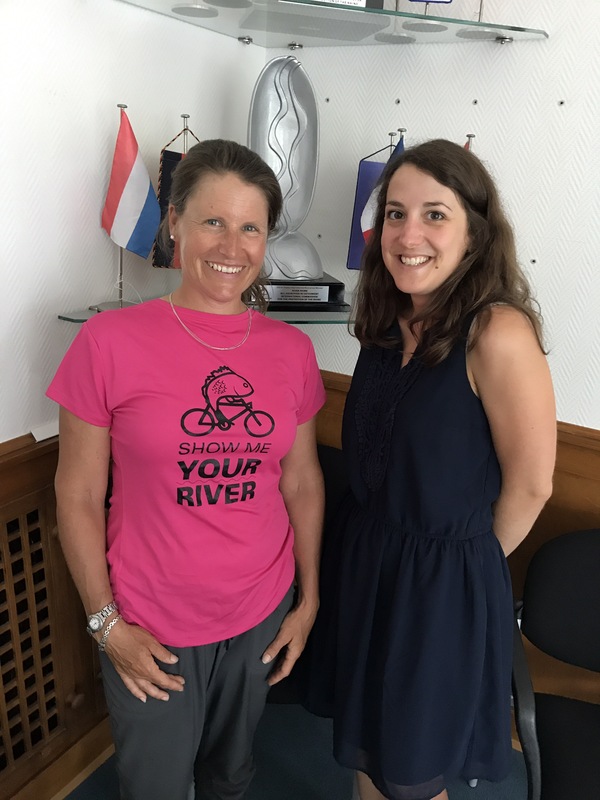 Sandra Chevret and Kerry Brink who coordinate World Fish Migration Day (April 21, 2018) and sent me encouragement and contact information for their river colleagues. 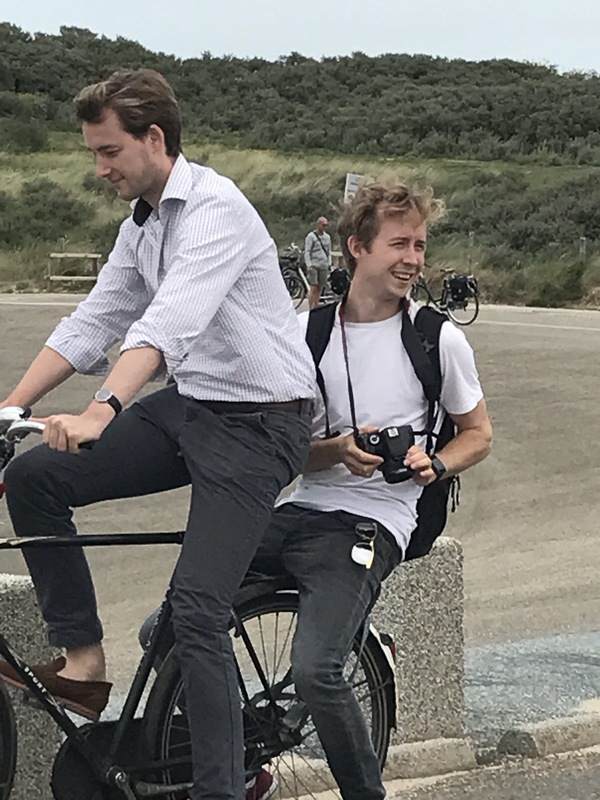 Bas Deelman, WFMF’s communication guru who made my cyclefish logo, and WFMF colleague Joost van Deelan, who met me in Katwijk for a jubilant celebration and a fun photo shoot on the beach. Josh Royte of The Nature Conservancy, who over a breakfast in Brunswick, ME coined the directive, “Show me your river”, and so launched this trip. Patagonia, creator of exceptional gear backed by corporate values that not only honor workers, but nature’s planet too (with a new line of rewilding rivers T-shirts). The community building, culture sharing, hospitality providing, budget saving networks of Couchsurfing and WarmShowers. And of course, to the Rhine, in his many forms. He guided me from the place of his conception, through phases of playful then serious, awe inspiring then beleaguered, wild then tamed; to his transformation into the sea. Here are some impressions of each segment of the river. 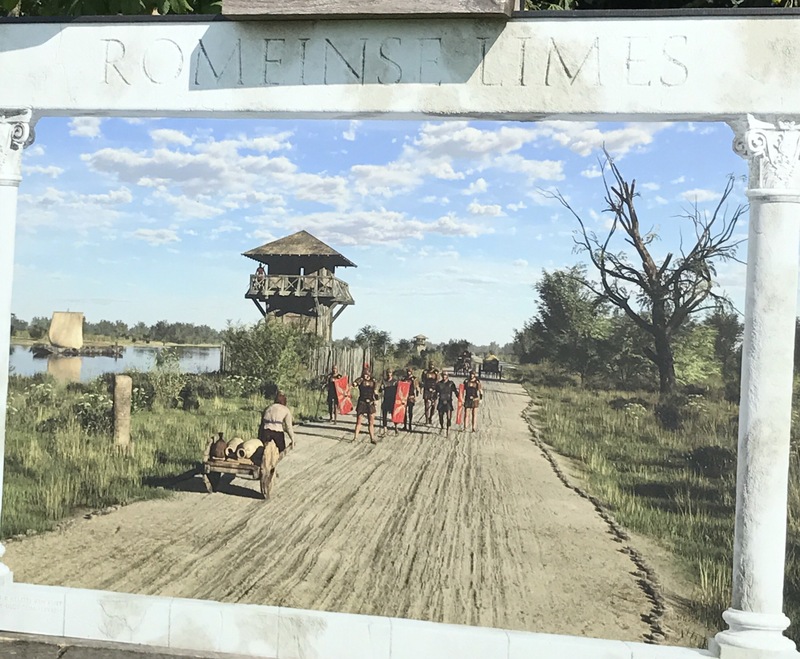 UPPER RHINE: Germany’s coordination of restoration, informative signage, a gradual understanding of language and Riesling. 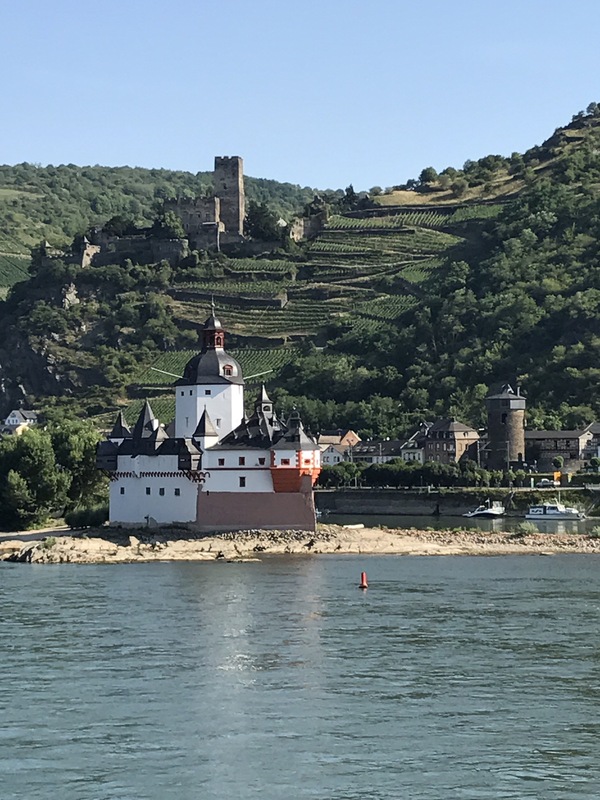 MIDDLE RHINE: castles, more castles, perfect bike paths and more castles. 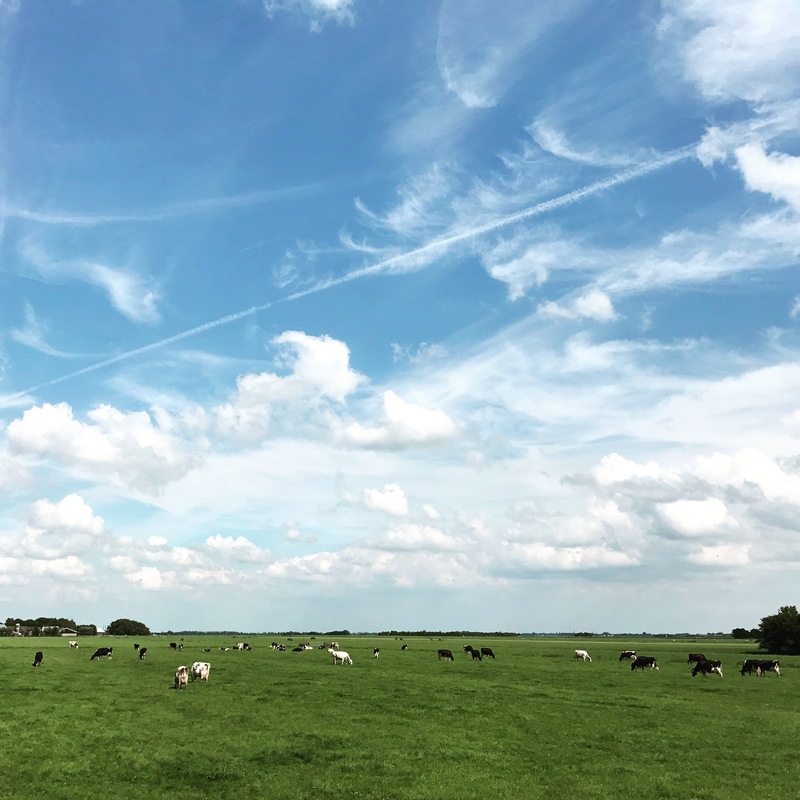 DELTA RHINE: The giant skies, tidy farms and ever present examples of land+water in the Netherlands. From its source 2,349 meters above the sea in Switzerland, the Rhine drains six countries in an area the size of Nebraska (200,000 km2). 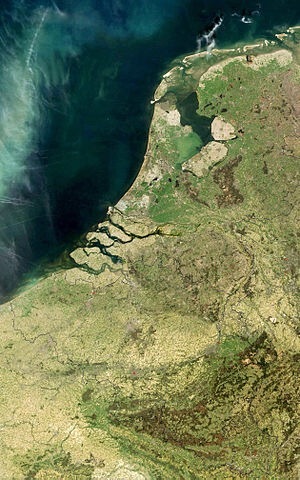 This massive flow of water and sediment saturates an area of Western Europe known as the Low Countries (in Dutch: De Nederlanden, in French: Les Pays-Bas) where much of the land is at or below sea level. 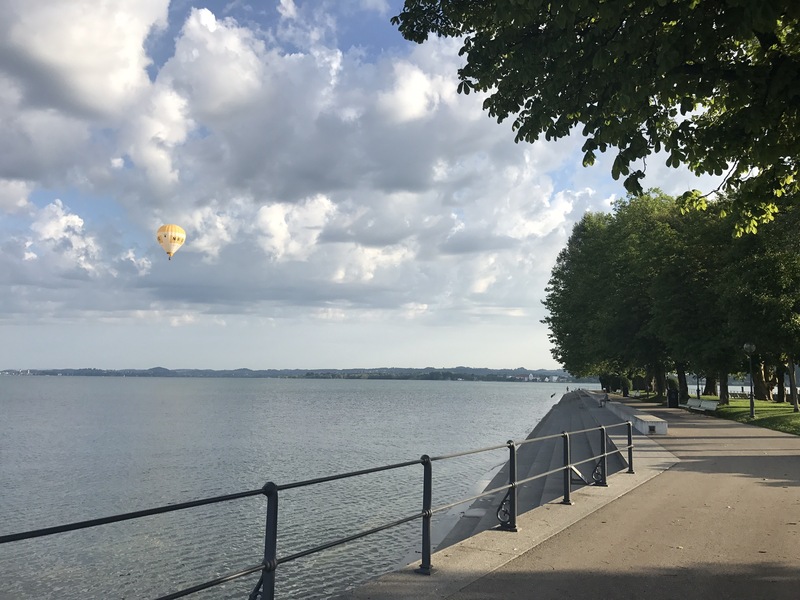 This is the Rhine Delta, a splintered series of lakes, canals, sluices, dykes, and rivers heavily managed to prevent the sea from flooding in, or the rivers from flooding out. “The Rhine built our country,” said a Dutch climate scientist I met on the banks of the Oude Rijn. 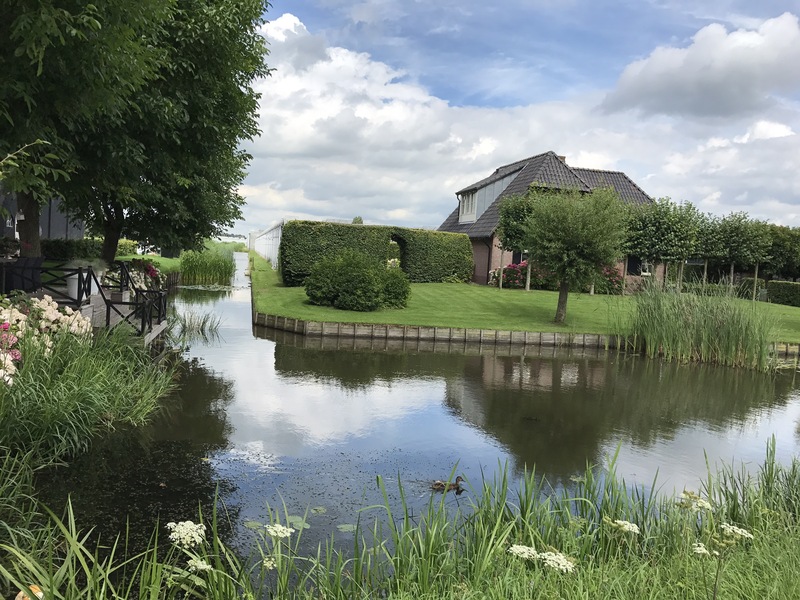 Dutch riverside communities have the highest flood risk from increasing peak discharges with potential for human casualties and significant economic loss; while in the tidal river areas, rising sea level is pushing up peak water levels during storm surges. The Dutch government has set up the Delta Programme to prepare for the impact of climate change. 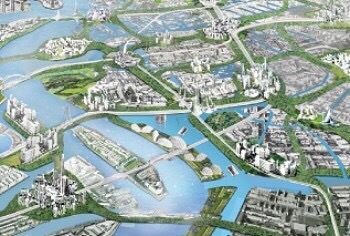 Essentially, they restoring natural functions under a program titled “Rivers Ambition”. 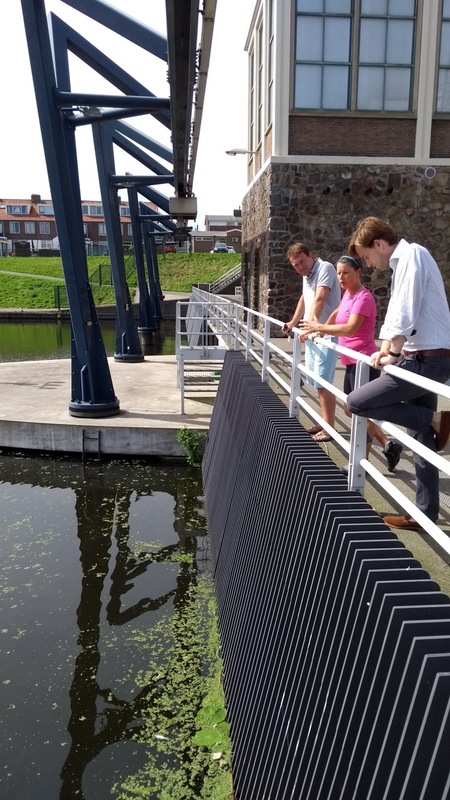 The Delta Programme﻿ has created a “preferential strategy” for the Rhine involving dyke improvements through raising and strengthening and river widening by lowering floodplains, constructing flood channels, and developing retention areas – just as I’d learned about at ICPR in Koblenz, Germany. 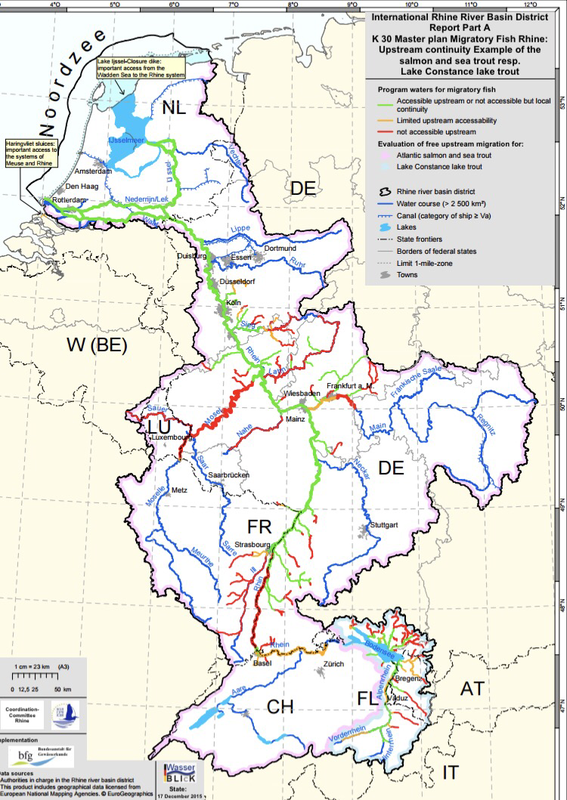 Without coordination and cooperation from upstream countries, the Netherlands has minimal influence over the force of the Rhine spilling over its border toward the sea, or the quality of the water which is depended upon for drinking and wildlife habitat. Therefore the Dutch government had significant incentives to develop the current international agreements to improve/restore the Rhine. Yet initial concern over water quality dates back before climate change was named, to the late 19th century and the decline of the salmon population due overfishing, dams and pollution. At the German – Netherlands border the Rhine splits into its two main branches: the Nederrijn (Lower Rhine) and the Waal. 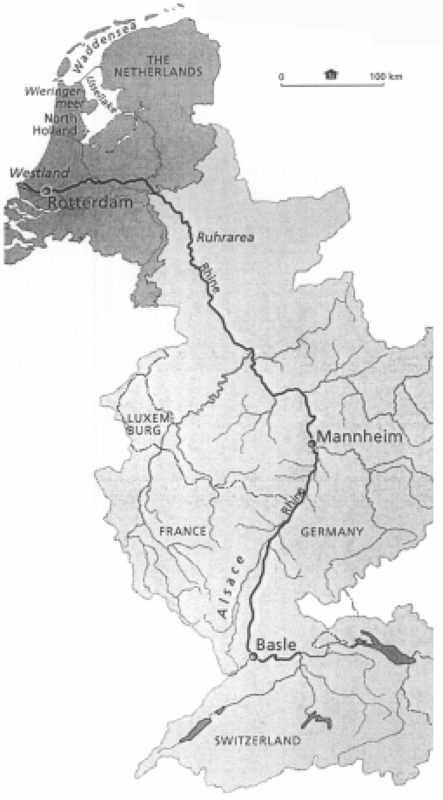 Ten km downstream at Arnhem, the IJssel branches north from Nederrijn, to Ijsselmeer, the largest lake in Holland, and formerly the South Sea before being blocked by a sluice. The Nederrijn splits in three at the town of Wijk bij Duurstede; a canal shoots northwest to Amsterdam, the Lek winds west creating Europe’s largest port in Rotterdam, eventually greeting the sea at The Hook of Holland; and the Kromme Rijn (Crooked Rhine) winds its way toward Utrecht splitting and merging with the innumerable channels to eventually become the Oude Rijn (Old Rhine). It is this trickle that I follow a mere 50km more to the sea. In Roman times, it was the main Rhine branch, forming the northern border (Limes Germanicus) of the Roman Empire. 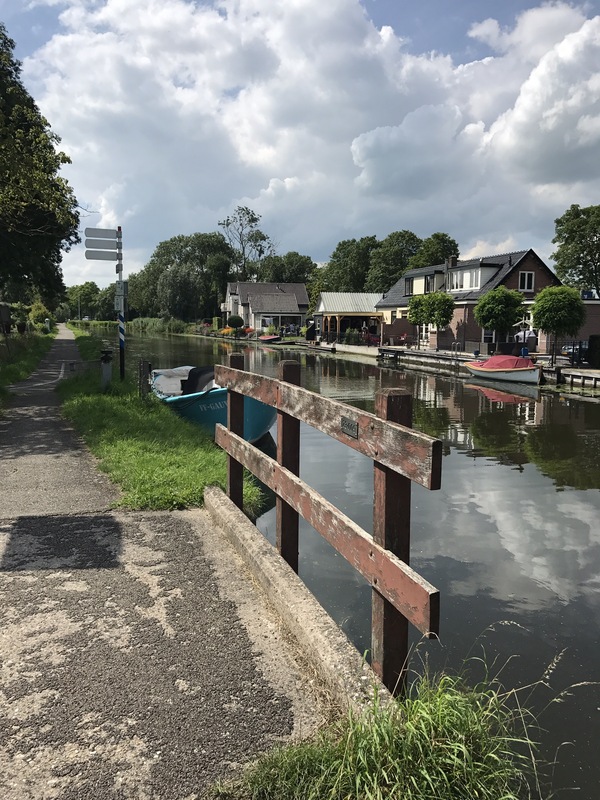 In medieval times, it was used for river transport paralleled by a towpath, many parts of which have now been converted to cyclepaths and roads. 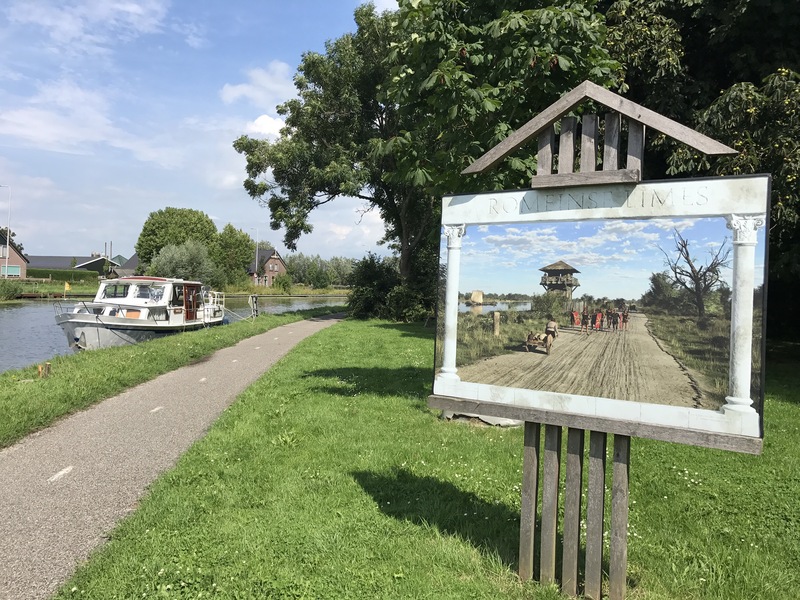 The river silted up in the Middle Ages and lost its importance as a navigable route by the 17th century, but still forms part of the city moat around Woerden and Leiden and is now used by shallow draft boats for recreation. No longer can I navigate by simply following “the river”, as there are rivers, streams, channels, canals, ponds and puddles everywhere! More water than land (more bikes than people); this is the Netherlands! 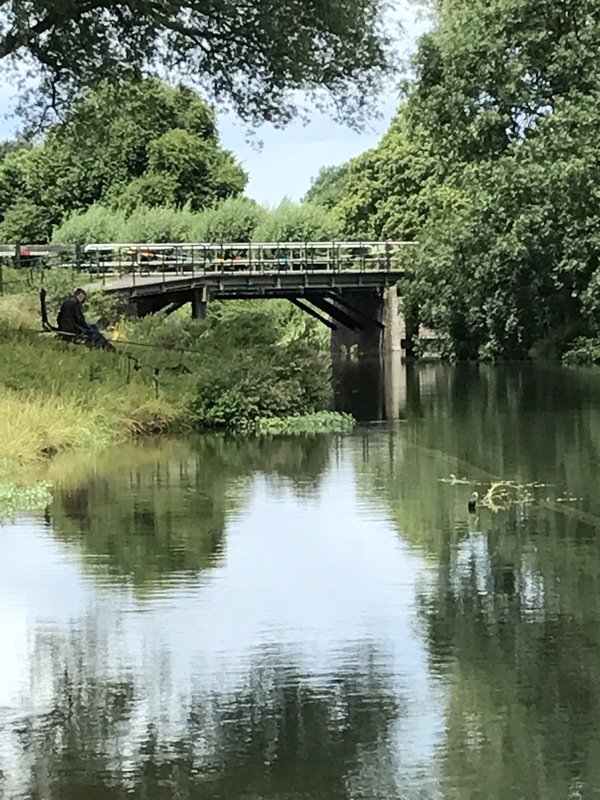 The ICPR bases its work on the European Water Framework Directive, adopted by the EU in 2000 for the protection of water quality and the European Directive on the Assessment and Management of Flood Risks. I’ve seen evidence of these international agreements throughout my trip as gravel bars and braided stream restoration in the High Rhine; fisherman’s comments in the Bodensee about the water being “too clean”; the installation of rocky groins to slow water velocity and create wildlife habitat (and swimming spots) and bikeway detours as backhoes convert agricultural fields to flood plains in the Middle Rhine. 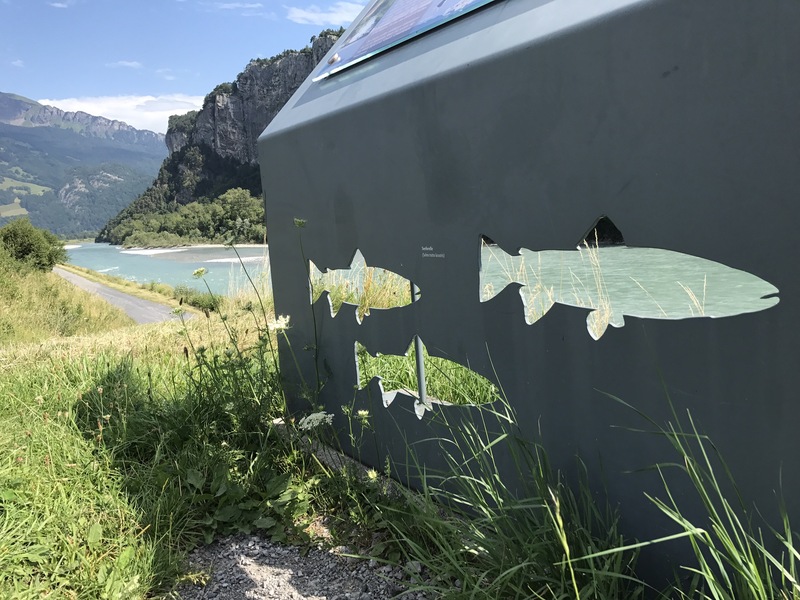 Another relevant document ICPR maintains is the Masterplan for Migratory Fish including maps on barriers equipped with upstream passage, and those with, or in need of, downstream passage. 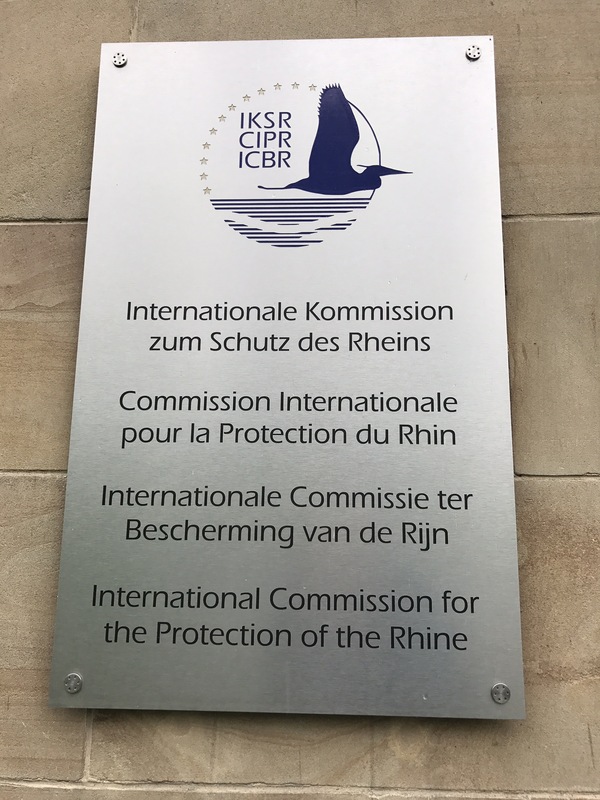 Dr. Gangi & her colleagues deserve praise for all that ICPR has accomplished by coordinating local restoration efforts in three languages across the six countries of the Rhine watershed. 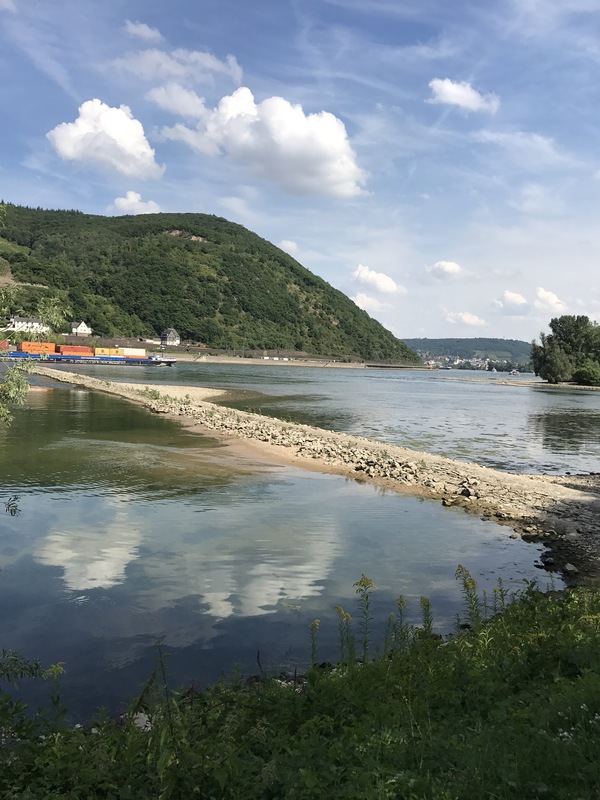 A new working group was created last year to study effects of climate change, particularly the current challenges of low water in the Rhine catchment. 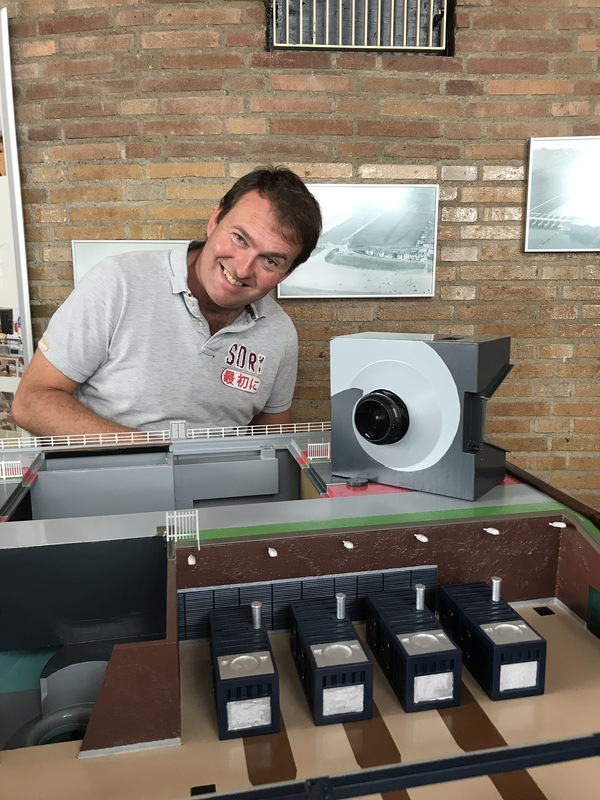 Since the ongoing plan called “Rhine 2020” ends in 3 years, the ICPR has started work on “Rhine 2040″.